There are a number of strategies that you can consider in order to improve the level of customer service within your organisation. Regardless of how skilled and personable your sales team is, there are always ways to improve to make sure that your clients remember the excellent service they have received from you. To improve the customer service of your business, you must know who your customers are and what it is that they want. To do this, gather information about as many of your clients as you can such as lifestyle, occupation and interests. This will help you gauge how to fulfil customer needs. Some businesses work well taking a ‘no frills’ approach to customer care, while others choose to opt to go above and beyond to please their customers. Whichever you deem is the best option for your business, a good level of customer service is vital, as failing to reach customer expectations will cause them to go elsewhere. Statistics show that poor customer service from indifferent staff accounts for 68% of customer’s who fail to use the same company again. As a growing business, it can be tough to engage directly and proactively with every customer that you encounter. If you provide a way for customers to give feedback about your service, you can listen to their opinions, whether good or bad, to create practical solutions about how to improve. This can be done via online surveys, a few quick telephone questions or the option for customers to fill out a form on your website and will not only show you the strengths and weaknesses of your service, but allow those who use it to voice their opinions in a suitable and confidential way. 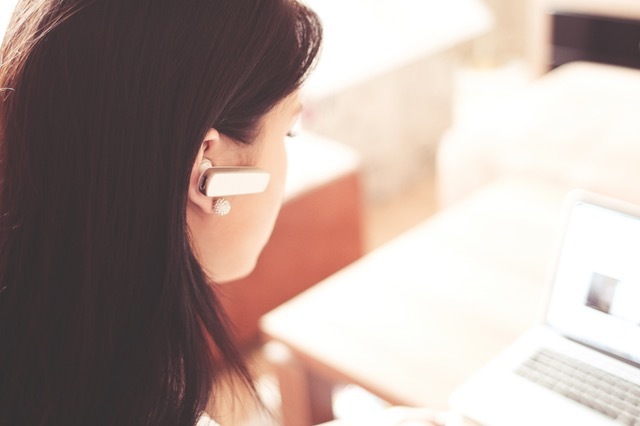 One of the best ways to improve your organisation’s customer service is by providing your sales team with professional customer service training. Not only will this be a great investment for your company in terms of increasing sales and revenue, but it will make your employees more confident in their ability to deal with customers whether face to face, via email or on the telephone. A confident salesperson comes across as one that is satisfied within their role, and this will show your company in good light, and therefore, encourages customers to return. Good teamwork will directly impact the way that your employees engage with your customers. Supporting effective and honest communication between you and your team will allow you to all be on the same page and resolve any issues faster. Engaging with your customers on a deeper level often requires teams to know how to handle stress and complaints, so if those on your sales team can communicate well with one another, they will be able to remain pragmatic in their approach to dealing with issues. A huge part of the role as a salesperson is dealing with issues and complaints that customers may have. If your employees know that they are valued and respected, they will provide a more consistent level of customer care. This can be done via the use of incentives or rewards for your team that will engage, motivate and improve their service. Our top five tips for improving customer service may seem obvious, but they’re the first steps to increasing brand loyalty and increasing your customer base. Get the basics right, treat your customers well, and you’ll be on the road to success.